Fossil is known for making stylish watches, and the Q Founder is no exception, thanks to its good-looking stainless steel design. It supports Qi Wireless charging. The Q Founder comes with an attractive metal or leather band, but it also works with standard 22 mm bands. The Q Founder’s battery life is short, maxing out at 24 hours. The display has the “flat tire” design, which cuts off the bottom of the screen with an unsightly black bar. 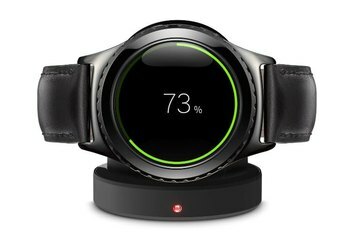 It does not include GPS or a heart rate monitor, the included charger is awkward, and the watch may be too big for those with medium or small wrists. Fossil has been making stylish, reliable watches for more than half a century, and fans of the brand will be relieved to hear that the company’s first smartwatch--the Q Founder--holds true to that tradition. 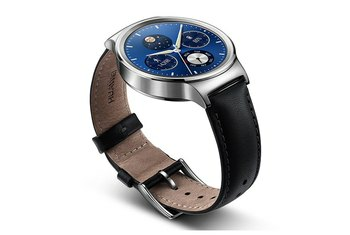 Running Google’s Android Wear software, the Q Founder touch-screen smartwatch delivers a variety of phone notifications from your connected Android or iOS device, including calendar notifications, calls and messages. 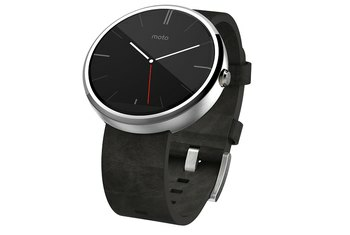 It also serves as a fitness tracker; it counts steps, distance, and calories burned. It doesn’t have a wide range of unbelievable features, the strap isn’t made of dried phoenix wing or something truly unique, and the software can be bothersome. It just happens to make my heart flutter when I catch sight of it on my wrist. This is not a watch built for small wrists but some will like the big statement it inevitably makes peeking out from underneath your sleeve. Poor battery life aside, what really frustrated me the most was the charging method. 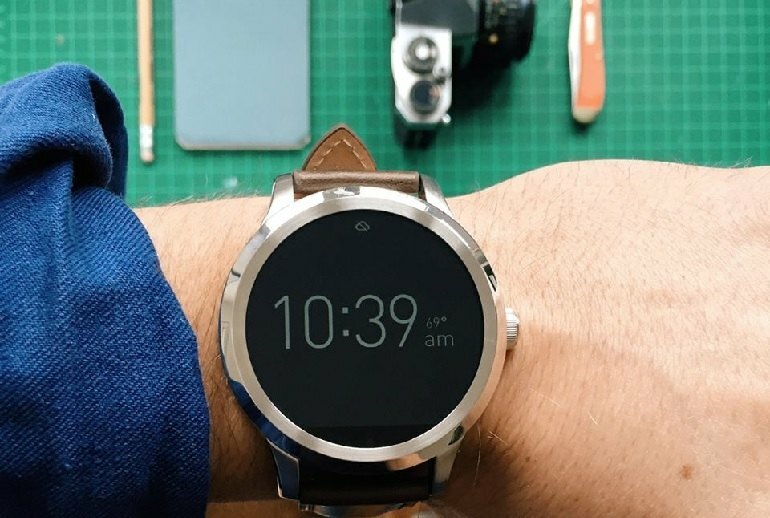 Fossil's watch features wireless charging, but rather than using a simple dock like the Moto 360, the Founder has a bulky watch pad that at first glance looks like something you may throw out. Don't! 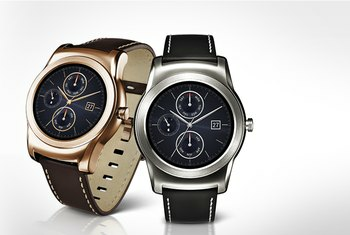 If what you desperately want is a stylish, chunky watch that also happens to run Android Wear, by all means splash out. 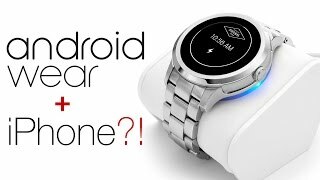 But while the Q Founder pushes things forward in the design department, it is unfortunately stuck in the smartwatch slow lane with Google's Android Wear operating system, which continues to underwhelm. But it's also one with the "flat-tire" design, wherein the display doesn't span a full 360 degrees because of the ambient light sensor that's tucked into the bottom quadrant. For some, that's a nonstarter. Unlike some smartwatches, though, it looks more like a snazzy watch that happens to be big, rather than a tech product that's big because of engineering or supply chain issues. My all-metal review unit featured a bracelet deployment clasp, and because it's so large, the watch was nearly unwearable for me. It could nearly slip on my wrist without me opening the clasp, and on the flip side, slip off if I turned my hand upside down. 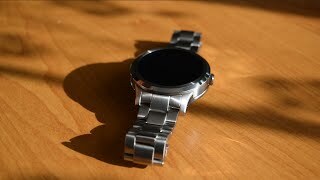 Like the Moto 360's screen, the one on the Q Fossil Founder is of the "flat tire" ... 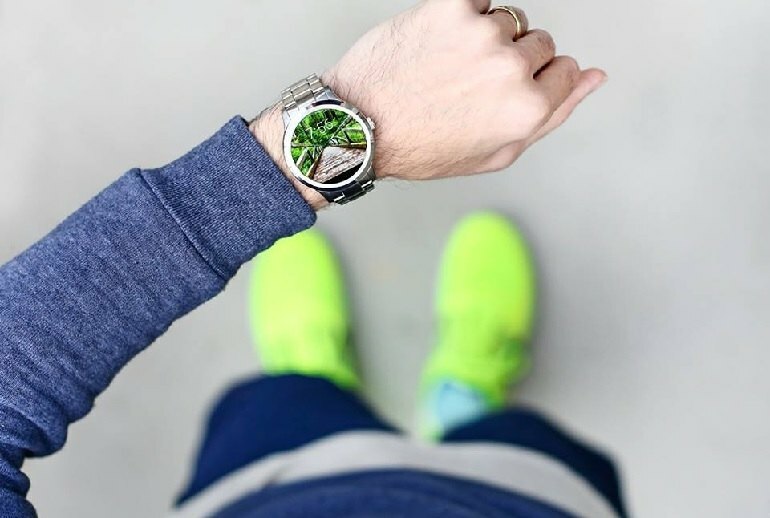 If you can tolerate that, good, but we rather didn't have to put up with that on a fashion-conscious Fossil watch. The lack of a heart rate sensor is, in my eyes, acceptable as nobody wants to go running or hit the gym with something this heavy on their wrist. Fossil dropped the ball with the software. The few exclusive faces included with this watch are mostly boring with strange design decisions, and the companion app is almost useless. 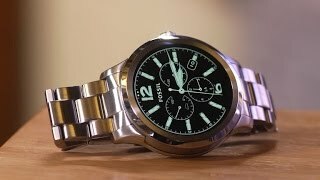 Fossil Q Founder Smartwatch: Full Review!